Glitz, glamour and the beauty of the South of France. When it comes to star-studded, sun-soaked events, it doesn’t get much bigger or better than Cannes Film Festival. With such a huge amount of star power on display, you get huge crowds of visitors vying for a glimpse of the most recent Cannes Film Festival winners. Everyone wants to be seen with, near to or in the same restaurant as the stars. If you’re planning a visit of your own, then beat the crowds and find the hottest spots for celeb spotting with our insider guide. Firstly, understanding the workings of Cannes Film Festival can help you plan your trip accordingly. While the rich and famous are certainly out in force, the festival is also a major networking and business event, so expect to see a lot of film industry bigwigs cutting deals. For 2017, the Cannes Film Festival dates are 17th to 28th May. If you want the best chance of mixing with the famous, or want to pitch a screenplay of your own, then the first weekend of the event is the best time to attend. This is when the festival is at its busiest. 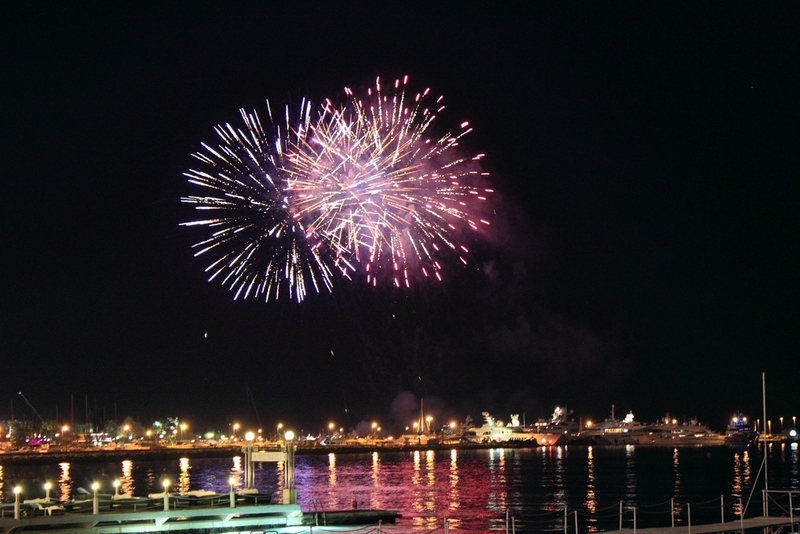 Fireworks over Cannes’ harbour. Photo by Julien Magne. If you want to get a selfie with Tom Cruise, then you’ll need to know where the best parties are. Finding this information if you’re on a leisure trip can be difficult. Luckily, we know who hosts the most popular parties at Cannes Film Festival. Film4 and UK Film, Variety, Screen International, The Producers Network and Wild Bunch all host some of the most in-demand events during the festival. It’s a good idea to plan in advance, and look up events you want to go to. Getting a ticket will require a certain degree of perseverance, but there are a few steps to follow for any party you want to get into. Firstly, simply ask if there any tickets available. If not, then another option is to get to know a few people around the festival. They may be able to get you in or get you tickets. Whatever you do, make sure you’re looking your best. Even if you’re not a top movie producer, looking like you are can sometimes be enough to simply swan in. Don’t be afraid to bend the rules – people pull all kinds of stunts at Cannes Film Festival to get where they want. It’s certainly part of what makes it unique. Lounging by the Mediterranean in Cannes. Photo by justinknabb. Cannes is a beautiful place, and worth a trip in its own right. 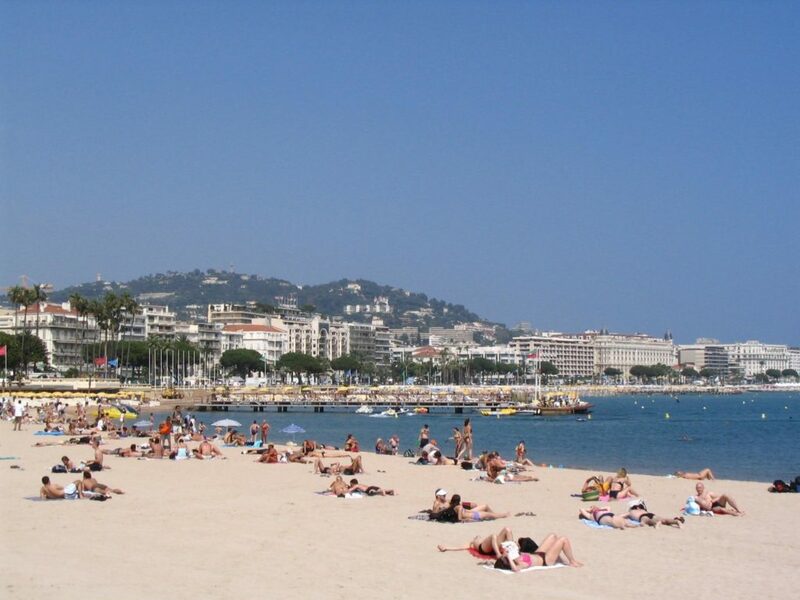 Once you’ve had your fill of trailing the Cannes Film Festival winners, take a break at the beach. Grab a fresh salad from one of the seafront restaurants, or pick up a picnic of a crusty baguette and cheese from a Monoprix (France’s budget supermarket) if you’re saving your funds for evening champagne. The old port is a peaceful place to wander as well, away from some of the crowds. Make sure to visit the American Pavilion at least once during your visit. It’s a popular place for industry hobnobbing, so you can get an in interesting insight into the film industry. The food is affordable, and the views of the sea exceptional. Cover photo by Thomas Bonte.